C&C Football Management offers services of management and sports marketing. 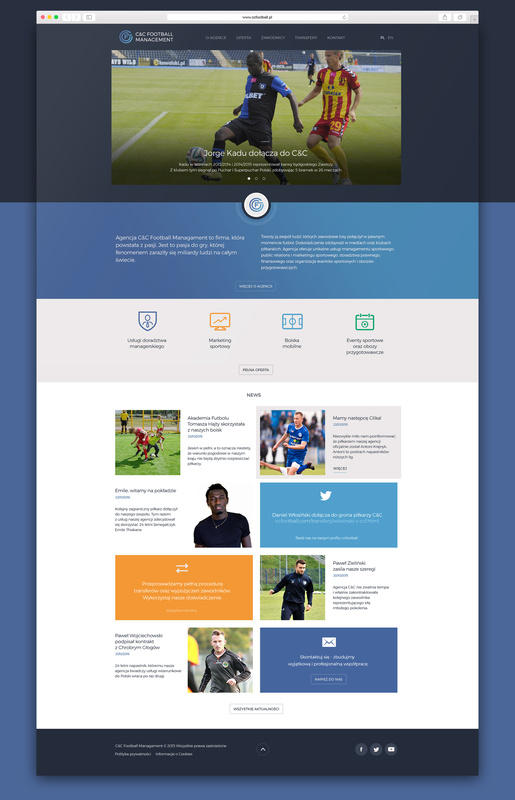 The project comprised of comprehensive graphic support for the brand C&C Football Management. In the first phase I invented emelents of visual identification (logo + advertising materials). In the second stage the responsive service was designed and introduced. 04 Banner for social media etc.